At Herlihy Mayflower, we’re proud that our family business is built on relationships with repeat customers like Walt V., who most recently called on us for help with a move from Nelsonville, Ohio to Chillicothe, Ohio. Nelsonville is a city in Athens County about 60 miles southeast of Columbus. Home to Hocking College, it has about 5,700 residents. Chillicothe is the seat of and only city in Ross County. Located along the Scioto River, the city has a population of about 22,000. 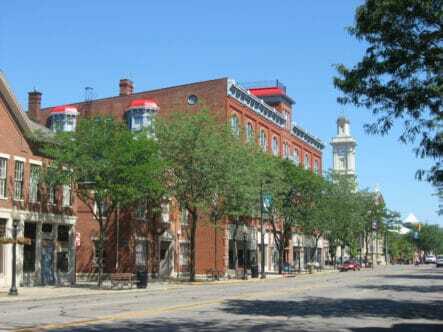 To learn more, see our Guide to Planning a Move to Chillicothe, Ohio. Walt said his furniture and other belongings arrived in good shape. “All three guys were great!” he said. We appreciate your feedback, Walt, and hope you enjoy your new home in Chillicothe! Looking for a professional, reliable Ohio moving company serving Nelsonville and Chillicothe, Ohio? Contact us today to experience the Herlihy Moving & Storage difference. As one of Ohio’s oldest moving companies, we have moved thousands of families and businesses within Ohio, across the United States, and around the world. We’re BBB accredited and Angie’s List approved. And, as a locally owned and top-rated agent of Mayflower Moving serving Chillicothe, Athens, and Columbus, Ohio, we have the resources to move you, no matter where you need to go.